The Nokia C6-00 is a stylish phone launched by Nokia with a lots of new features and specifications. It is one of the best Nokia C-Series phone comes with a 5 mega pixel camera and a secondary VGA camera for video calls. The 3G phone has a 3.2" big resistive touch screen with ClearBlack display with proximity sensor. Most of the facilities are available in the Nokia C6-00 mobile phone. 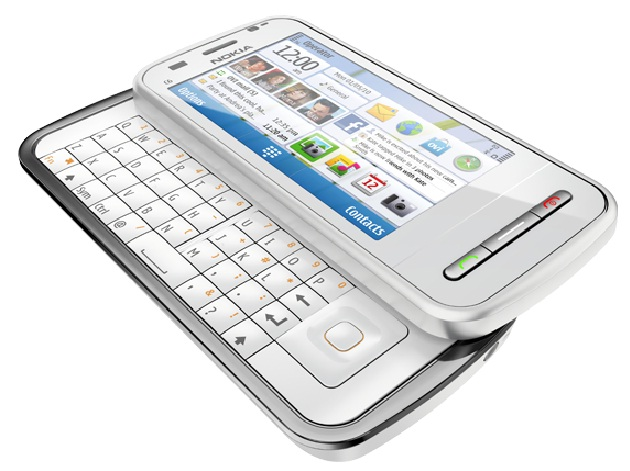 The Nokia C6 phone has the Nokia OVI store from where users can get the various softwares, applications and games etc. free of cost. Though the internal memory of the phone is only 240MB it can be expandable up to 16GB with a hot swappable MicroSD memory card. The full specifications of the Nokia C6-00 can be found in Nokia C6. The update will comes with the new and faster version of the web browser. After update the same the browser will support the multiple window in web browsing and user can open and browse multiple sites at a time. The Music Player of the device will also be updated with support of folder playlists and lyrics. This means it will support to get the lyrics of the song and user can be played songs folder wise by selection. New emoticons and smileys will be available in text messages after updating software. New and updated maps will be added in the OVI maps. Performance and usability improvement is the another important feature of the update. The new mail and chat applications will be quick and easier after update the same. Users can update the phone software in two ways i.e. by using the phone or by using a Computer. If you want to update a software, need to go to Applications and then Software Update and the available updates will be displayed there. Just need to select the update for which an internet connection is necessary. For the users who are using the Nokia OVI Suite in a PC, then it will automatically check the available updates for the phone. Users may get the step-by-step and detailed tutorials about the process of update software which is available to read in Software Update Tutorial.